Check out this cool spectrometer design using the AS7265X! 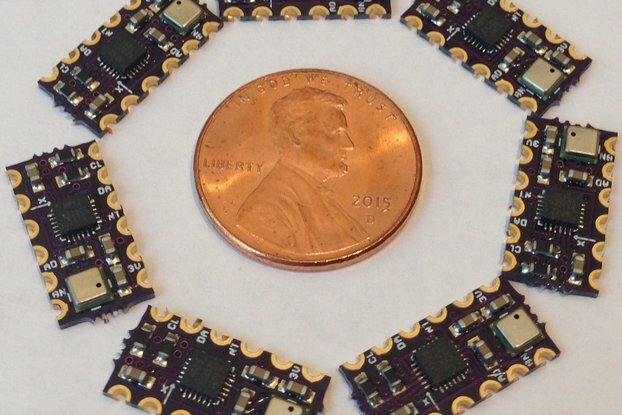 This is a small (18 x 18 mm) breakout board for AMS' AS7265X Smart Spectral Sensor. From the data sheet: "The AS72651 is a digital 6-channel multi-spectral sensor for spectral identification in the near IR light wavelengths, serving as master controller for the AS7265x chip-set. It has 6 independent on-device optical filters whose spectral response is defined in the NIR wavelengths from 600nm to 870nm with FWHM of 20nm. The AS72651, combined with the AS72652 (spectral response from 560nm to 940nm) and the AS72653 (spectral response from 410nm to 535nm) form an AS7265x 18-channel multi-spectral sensor chip-set from 410nm to 940nm." The AS72651 is the I2C master to the slave AS72652 and AS72653 sensors, and all host communications occur with the AS72651 via either I2C or UART. The spectrometer breakout is designed to interface easily with any popular 3V3 (2.7 - 3.6 V VDD) microcontroller that supports I2C or UART. 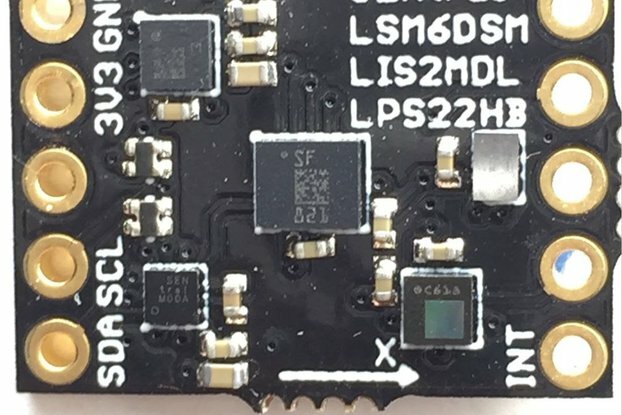 There is a solder jumper on the back that allows changing the communication mode on the board from I2C to UART. There are 4K7 pullups for I2C on the board and UART works through the same SDA (TX)/SCL (RX) ports. There is a green indicator led as well as one source led for spectral reflectometry. The Luxeon LXZ2-5790-3 is a broad-band white light emitter (5700 K, 90 CRI). 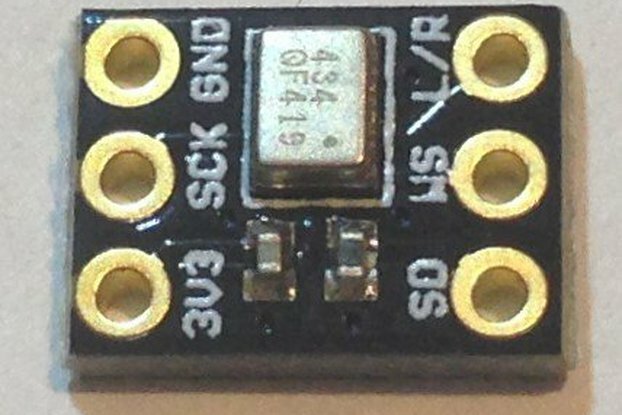 There are also two unpopulated 0603 led pads in case the user wants to add a specific frequency source. The indicator and source leds are simply controlled by changing configuration bits in the AS72651 control registers via I2C or UART register writes. The board exposes power and ground (3V3 only! ), I2C/UART and an interrupt and reset (both active LOW). 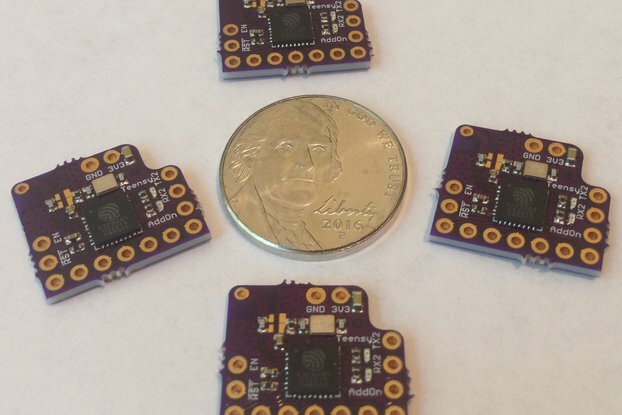 All six ports are conveniently located on one board edge via plated through holes (PTH) so either a wire bundle or connector can be soldered to the board for easier interface to the microcontroller. The 2.54-mm-pitch plated through-holes at the board edge also make it convenient to mount the spectrometer on the breadboard. The AS7265X requires a 256 KByte firmware file that is stored on the 1 MByte W25Q80 SPI NOR flash. 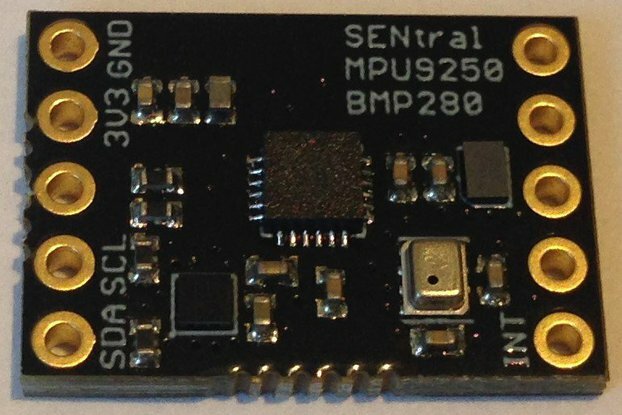 The firmware allows the ASIC embedded in the AS72651 to manage the slave sensors, emulate an I2C bus, and read and process the 18 spectral channels of data. Firmware comes preloaded on the AS7265X breakout board making the board ready to use. And the board is very easy to use. Just connect board 3V3/GND and SDA/SCL to 3V3/GND and RX/TX or SDA/SCL of your microcontroller. With a few lines in an Arduino sketch to configure the sensor gain, sample rate, light source intensities the data can be read with a single I2C register burst read. No confusing voltage translations or ADC conversions are needed, it is all done on the chip. Just grab the data from the serial monitor and plot the data in your favorite spreadsheet. As a scientist I have always been intrigued by scientific instruments and measurements. When I first heard about AMS spectral sensors (like this one) I was interested, but six channels in a 200 nm spectral range at 40 nm FWHM didn't seem that useful given the cost of the sensor and difficulty obtaining and loading special firmware, etc. But when AMS announced their AS7265X Smart Spectral Sensor 3-IC suite, with the prospect of 18-channels at 20 nm FWHM and a spectral range between 410 and 940 nm, well, this seemed like it might be worth the trouble. Furthermore, AMS has a somewhat misleading (I think they are also using a fourth sensor for the mid-IR range) video on YouTube that shows the sensor suite being used for material identification. This is a tricorder in action and I wanted to see if I could do the same. The jury is still out on whether material identification using the three sensors on this breakout board is really possible; I have spent most of the last few months just getting the board to work the way I wanted (see here for the saga). What I really like about this solution is 1) it is very compact, 2) it is easy to interface with almost any microcontroller, and 3) it is fairly inexpensive (compare to this solution). Can it really do what a tricorder seems to do? I don't know. But I do know it is a lot of fun to use! 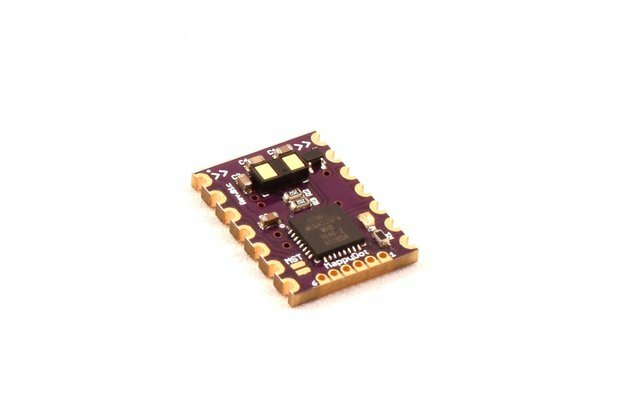 It is a super-small implementation of the AMS Smart Spectral Sensor chip set that is easy to use with almost any 3V3 microcontroller that can be programmed with the Arduino IDE and has either an I2C or UART peripheral. 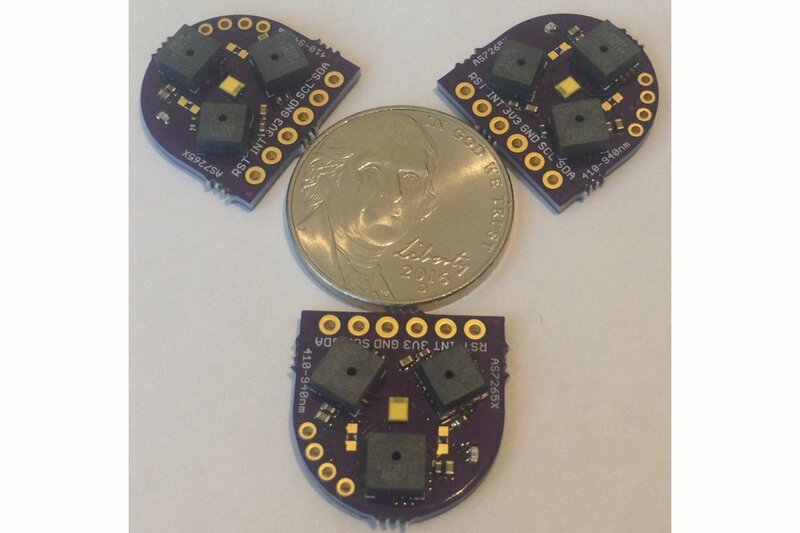 I designed the sensor to be open source to allow anyone to build their own AS7265X breakout. I have described the design process in detail at Hackaday.io, and shared the EAGLE design files and schematics, and I have written some simple Arduino sketches to illustrate how to use the spectrometer. The goal for this board design was to create a compact, functioning, useful spectrometer at a cost of $25 or less. The cost is driven by the three Smart Spectral Sensors. The spectrometer can be used without any source illumination if you want to measure light reflected from objects with natural (i.e., Sun) illumination. But indoors, or for more repeatability, it is useful to have a broad-band light source to illuminate target objects so that there will be plenty of reflected light to measure. The broad-band white led offers coverage in the visible and some coverage in the near IR. You will notice that the price I am asking is not $25. This is the approximate cost of the pcb and components. 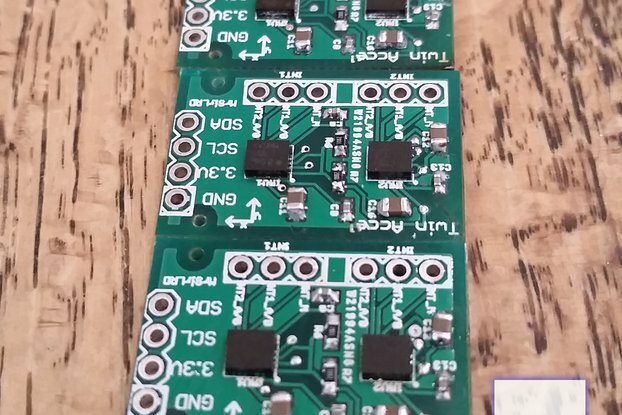 Right now I am assembling and testing these boards in small batches by hand. If there is enough interest I will make a small production run in China, which might eventually allow me to drop the price. So if you would rather spend less money and/or would enjoy an assembly challenge, please order the pcb and assemble one or more of the AS7265X breakout boards for yourself. 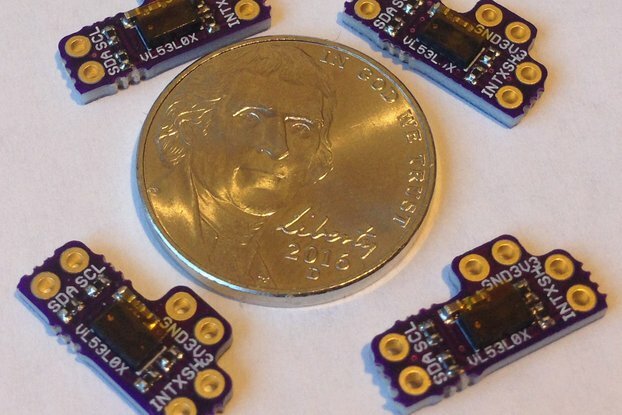 Order some pcbs from OSH Park and assemble some of your own, or buy the fully assembled and tested AS7265X breakout board from me and see what an 18-channel spectrometer the size of a nickel can do for your next tricorder project! 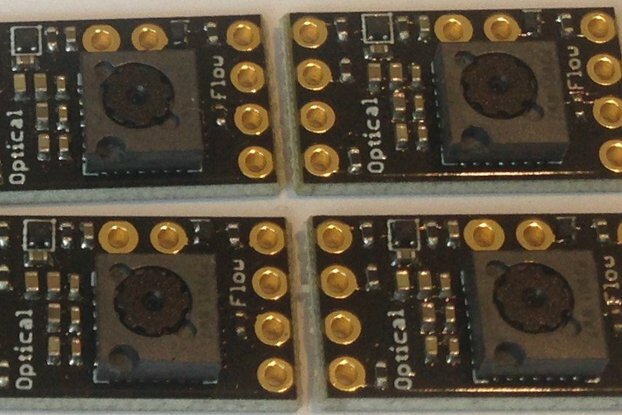 An interesting sensor, that would probably have been too hard for me to use on my timescale (necessary to load a firmware and have an eeprom on board). 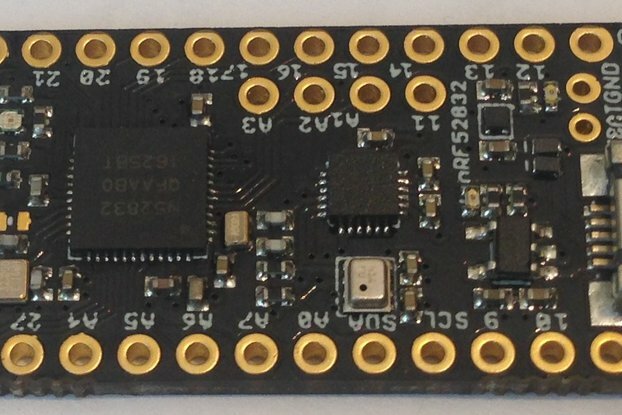 The hard work's been done and this breakout board makes it easy to interface with I2C @3.3v. We are using it to ensure the LEDs we are using in our product are up to spec. I'm turning off the central light, and then measuring the red, green and blue LEDs inside an RGB package, then plotting a graph. 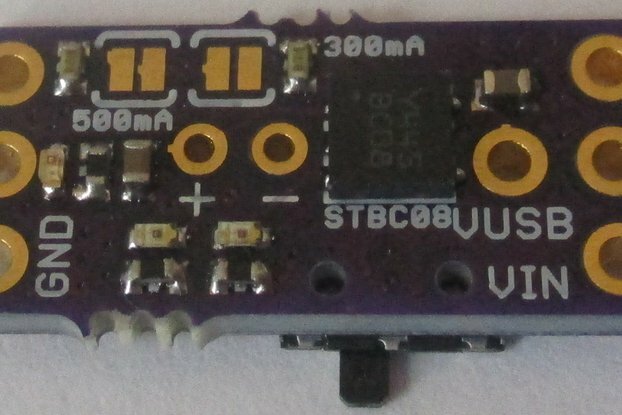 Much more information that the typical TSC3200 sensor often used for colour sensing applications.